Beyond its main sights like the Uffizi Gallery, the statue of David, and the Duomo, there are many free things to do in Florence. Here are five of my favorites. 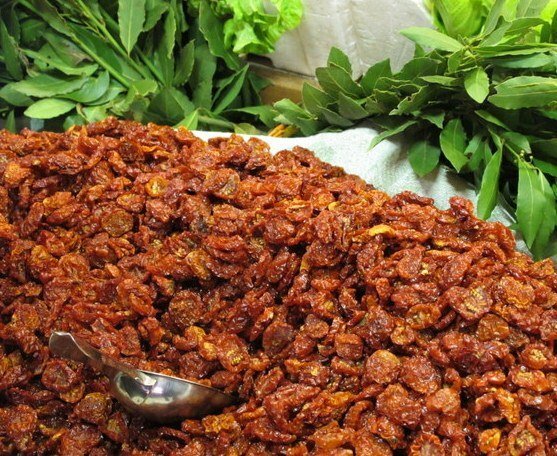 Don’t miss the Mercato Centrale, a huge indoor food market. 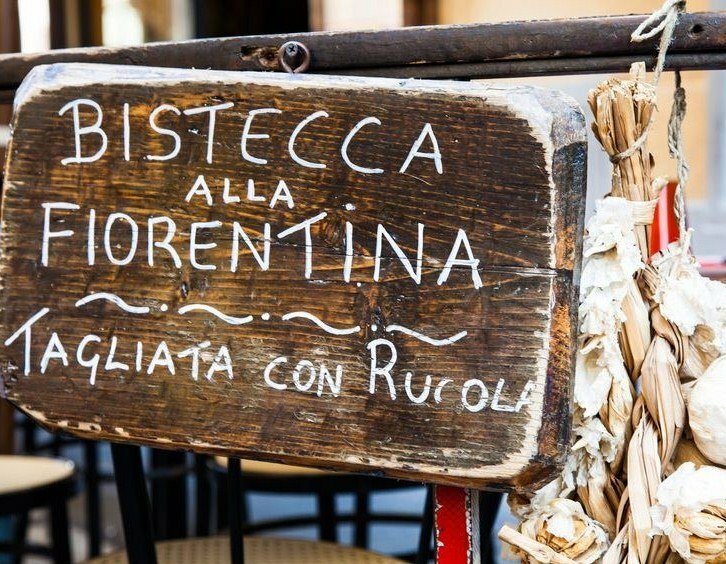 It’s filled with Tuscan delights: fresh salads, olive oils, salami, cheeses, beautiful produce, pasta, and many other examples of wonderful local food. You can simply look around or enjoy a snack, get picnic supplies, and even buy gifts or souvenirs. Stroll down the Arno River to Viale G. Poggi and then climb the winding path uphill. 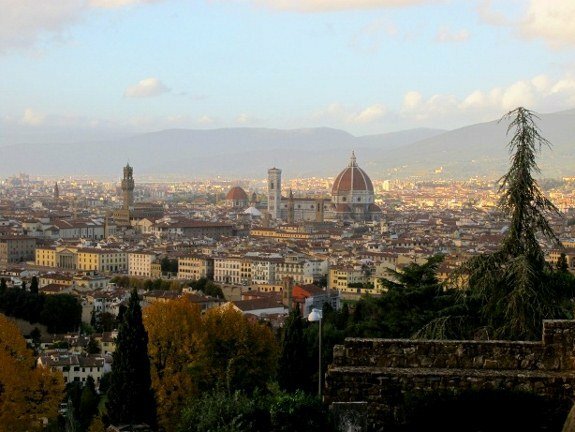 You will reach Piazzale Michelangelo, but for a better experience, walk just a little further to the church that sits above the piazzale. San Miniato al Monte, a Romanesque church from 1018, is one of the oldest churches in Florence. The views of Florence from outside the church are stunning. You can walk the grounds, see the cemetery, and even visit the shop next to the church, which is run by Olivetan monks. Step inside the church, notice the carvings in the floor, and walk to the back to see the beautiful mosaic from 1297. As you make your way back down to town, stop in the Rose Garden (Giardino delle Rose) at Viale G. Poggi 2. This pharmacy/perfumerie dates back hundreds of years and is an important part of the cultural heritage of Florence. The monks of the nearby church began to sell their products in the 13th century; later, the pharmacy produced scents for Queen Catherine de Medici, among others, and became known for its herbal remedies and natural creams. Step inside the beautiful marble entrance and enter one of several rooms that make up this museum and shop. 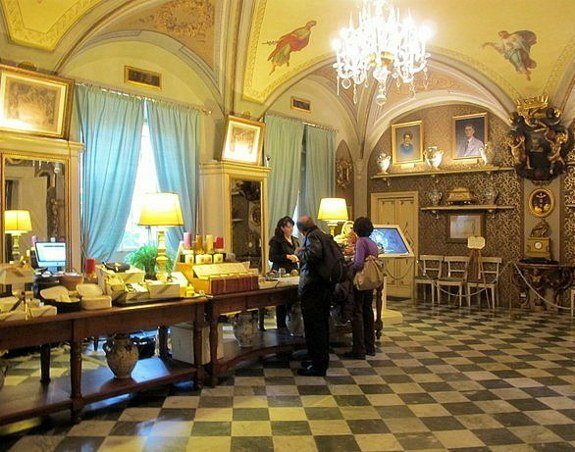 All the rooms are decorated with intricately painted ceilings, ornate furniture, sculptures, and chandeliers. Get a copy of the information brochure and read about the long and interesting history of this unique pharmaceutical office. Entrance is free, and products are for sale. Via della Scala 16, open every day 10:30-7:00. Florence is known for its artisans who have carried on the traditions of making quality products by hand for centuries. Now with the increase in globalized goods and machine-made products, the artisan heritage of Florence is at risk of dying out. You can experience this piece of Florence’s history by stopping in an artisan’s workshop. Cross the Arno River and start wandering the quaint streets of the Oltrarno quarter to find most of the workshops. Back on the main side of the Arno is the Bruscoli workshop, run by Paolo Bruscoli, a 4th generation artisan who makes fine leather products in the Florentine tradition. His partner makes traditional Florentine paper. 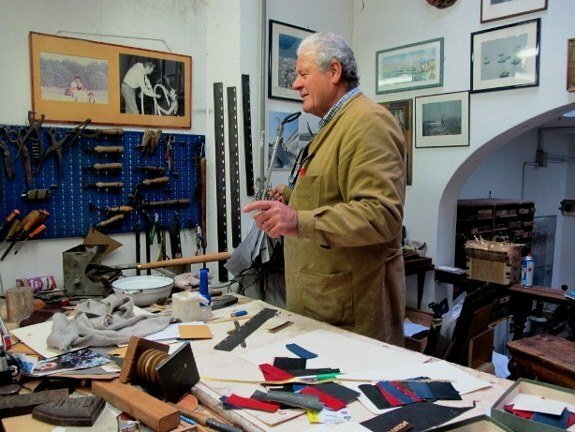 Mr. Bruscoli speaks English, so feel free to ask him about the workshop’s 140+ years of history. Their items are for sale at the front of the shop, open 8:30-1:00 and 3:00-7:00 at Via Montebello 58. 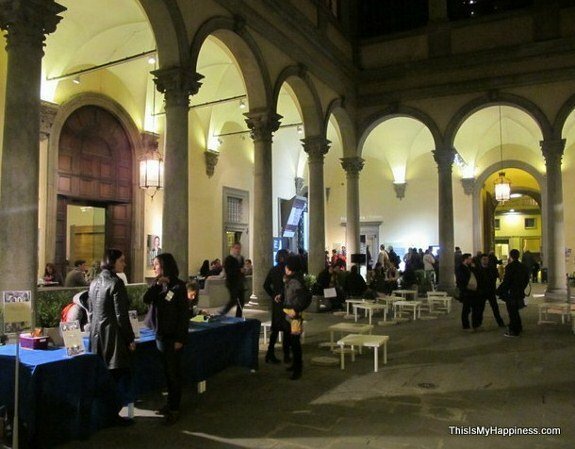 Palazzo Strozzi is one of the best museums in Florence and definitely the one that connects the most with the Florentine community. It hosts excellent exhibits of both contemporary and historical art. The museum is housed in one of the best examples of a Renaissance palace—it was built for the Strozzi family, rivals of the ruling Medici family, in the 15th century. Stop in on a Thursday evening for free admission to some exhibits and the weekly social gathering in the courtyard. There you can listen to music, hang out on couches, and, for fun, type tweets on an old-fashioned type-writer and post them on a large bulletin board. Other public events are held, including free movie nights and concerts, so check their website for updated information. Click the link for my story about 30 things to do in Florence. Jenna is a freelance writer who runs This Is My Happiness, a blog about culture, art, and travel. She also writes for the new website Travel Mindset, launching in early 2013, and is an ambassador for AFAR magazine. 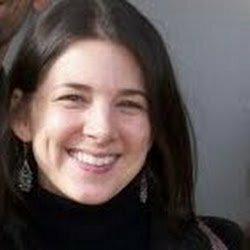 She enjoys writing about what makes places unique in an effort to provide a deeper look at travel destinations, especially California, Brazil, and Italy. You can follow her on Facebook and Twitter.